NASHVILLE, Tenn. – The Titans proved sometimes there’s a reason to believe, even when everything says otherwise. Down 16-0 and playing their worst football at the wrong time, the Titans were relentless in a second-half comeback that kept their narrow playoff hopes alive. Marcus Mariota’s 11-yard touchdown pass to Corey Davis with 36 seconds remaining completed one of the more memorable comebacks in Nissan Stadium history, a turnaround that ended with a 26-22 win over the Jets Sunday. Mariota throw for 282 yards and a pair of touchdowns and Derrick Henry added a 1-yard touchdown run. The Titans finished with 403 offensive yards, while scoring on four of their last six series. Mariota connected with Taywan Taylor on pass plays of 55 and 44 yards in the fourth quarter, setting up a pair of Ryan Succop field goals, but it was the Titans defense providing the opportunity for a comeback. “We shot ourselves in the foot a little bit, but it’s been the identity of this team the whole year is being resilient and getting through adversity and sticking together,” said Taylor, who had three catches for 104 yards. The Titans forced the Jets into five Jason Myers field goals, with their only touchdown coming off Trumaine Johnson’s 31-yard interception return for a touchdown. The Jets’ final five drives ended with four punts and an interception, with each drive lasting four or fewer plays. The Titans moved to 6-6, snapping a two-game losing streak. The Titans are one of four teams in the AFC at 6-6, including the Colts who lost 6-0 to the Jaguars Sunday. The Jaguars play the Titans at Nissan Stadium Thursday. The Jets lost their sixth straight game and are 3-9. A horrendous beginning almost doomed the Titans before halftime. 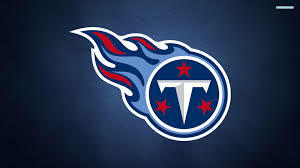 The Titans had 24 yards on 20 offensive snaps, with three drives ending with punts, to go along with a blocked punt and an interception returned for a touchdown. The Titans started a momentum change on their final drive before halftime when Mariota hit tight end Anthony Firsker on a 12-yard touchdown throw. Even that series had its drama with the extra point blocked. The Jets drove inside the Titans’ 25-yard line twice in the third quarter, but had to settle for a pair of 39-yard field goals from Myers. The Titans trailed 22-13 heading into the fourth quarter, but outscored the Jets 13-0 with Davis’ touchdown catch finishing the comeback. Titans cornerback Malcolm Butler made a timely tackle on a third-and-short midway through the fourth quarter, then closed the deal for the Titans when he intercepted Jets quarterback Josh McCown with 29 seconds remaining. It was Butler’s second interception this season and the Titans’ seventh pick of the season. Butler had six tackles. “It showed our mental and physical toughness,” Butler said. “We never gave up regardless of how the game went. We could have thrown in the towel, but we kept fighting. Up next: The Titans will have a quick turnaround with the Jaguars at Nissan Stadium Thursday, while the Jets play at Buffalo Sunday. Notes: It was the first time the Titans had played the Jets since 2015 and they now own a 25-19-1 series lead. … Mariota recorded the 12th game-winning drive of his career and the eighth since 2017. … The Titans were penalized eight times for 75 yards while the Jets had 11 penalties for 95 yards. On the Titans’ game-winning drive, the Jets were penalized twice for 20 yards.